Iwakuni Yakitori Izakaya "IWAKUNI YUKARIYA"
Are you a tourist looking for somewhere to have dinner in Iwakuni, Yamaguchi? Come to our restaurant, "IWAKUNI YUKARIYA", for a bountiful menu of food and great sake. from the station. Eating is one of the best parts about traveling. Come and enjoy local dishes and sake with us. Facing Highway 188, cross over to the post office side of the road. If you walk about 180 meters toward JR Iwakuni Station, you will see an arcade with a sign that reads "NAKADORI" on your left. Our restaurant is the second shop from that corner. Leave the hotel, and you should see the large road of Route 50 in front of you. Head toward JR Iwakuni Station along Route 50. Turn right when you see the donut shop and go about 20 meters up the road. You will see an arcade with a sign that reads "NAKADORI" on your right. Our restaurant is the second shop from that corner. Click "here" if you are using the Google Maps navigation function. 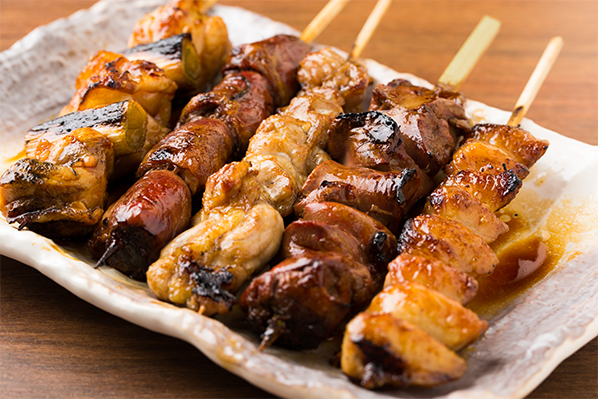 The izakaya is Japan's most well-loved type of restaurant. There is nothing quite like taking in the comfortable atmosphere, getting a little drunk from a good sake, and picking up a bite of the next great dish to come to the table. "IWAKUNI YUKARIYA" offers exactly this type of authentic Japanese dining. 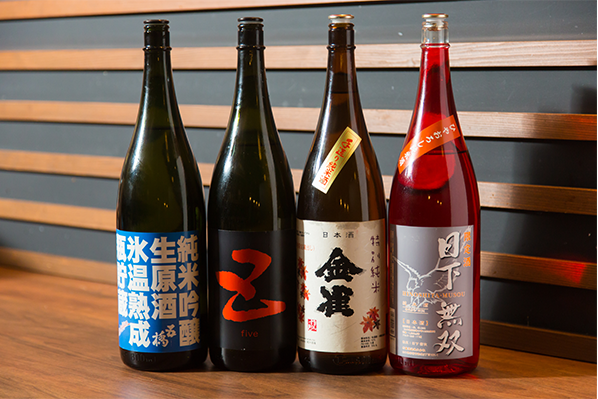 We offer a wide variety of drinks including not only Japanese sake, but also beer, shochu, and whiskey. 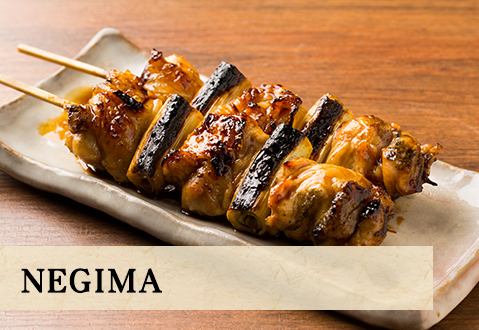 Our juicy char-grilled yakitori is especially popular. Ordering can be as simple as pointing to what you want to eat on the menu. We have absolutely no problem with guests who do not speak Japanese. ※All prices listed are in Japanese yen. We have a diverse menu to accompany the alcohol of your choice, including grilled meat and fish, stewed dishes, and more. 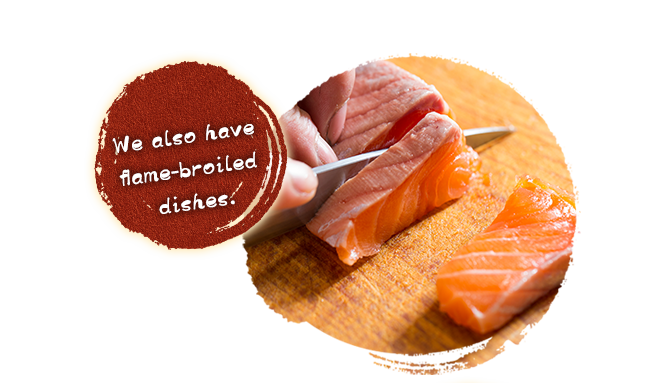 We also offer dishes that feature local delicacies for those who want a true Iwakuni dining experience. 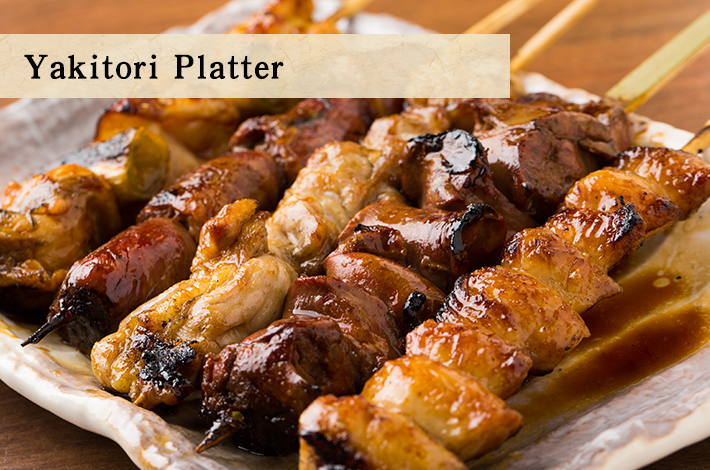 Yakitori is a Japanese soul food made with chicken. It is a favorite among many Japanese, and it goes wonderfully with sake. The aroma of the charcoal perfectly accentuates the succulent taste of the chicken. 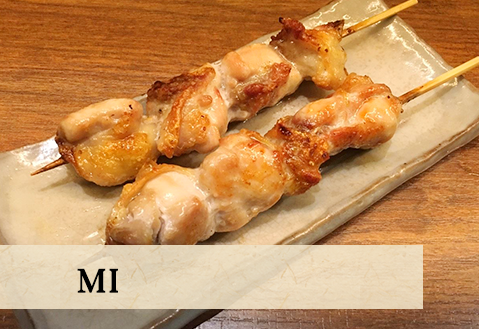 We recommend our juicy chicken thigh meat skewers "MI" and "NEGIMA" which our skewers with chicken thigh and welsh onions. If you don't know what to order, get our popular combo platter. 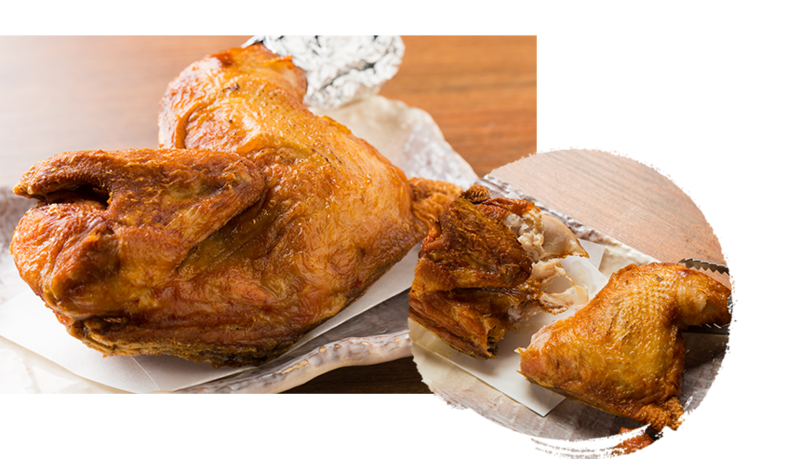 We deep fry half-sliced young chickens until they are crispy. The juices that flow from a cut of one of these is more than enough to get the appetite going. You can bite directly into the cut for a luxurious personal meal or share the dish with friends. 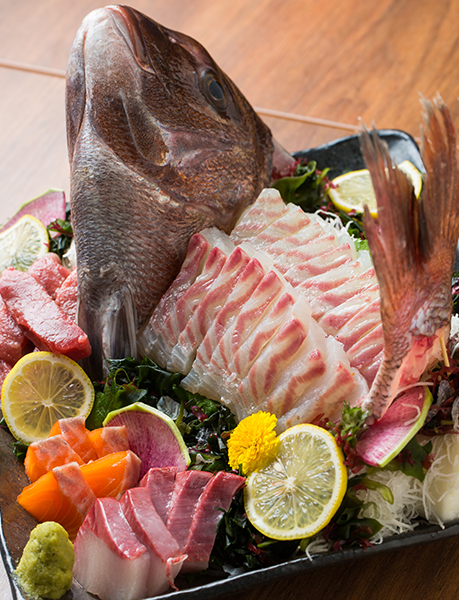 Try our luxuriously thick cuts of fish caught fresh from the nearby Seto Inland Sea. Our regular local Japanese customers cannot get enough of the fresh flavor that dances on the tongue! Photos are for illustrative purposes only. The types of fish served can vary based on what is available at the time of year. Iwakuni is famous for its lotus root, and this dish takes advantage of the delicious local ingredient. 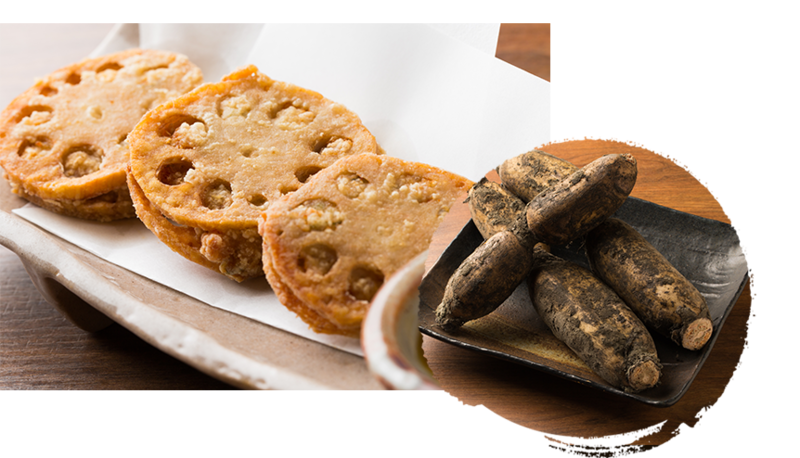 Lotus root is very healthy and has a satisfying crisp texture. We sandwich minced meat in between slices of the root and deep fry them into flavorful delights! This restaurant is open from 16:00, which is quite early for an izakaya. We have a large number of seats (95), making our restaurant great for large groups and family dining. We also, of course, welcome anyone who wishes to come alone. We offer a relaxed dining experience at both our table seats and at the counter, so please come and enjoy a dinner with us. from Iwakuni Station's West Exit!